Watch <i>COWGIRL</i>'s exclusive interview with 3-time WNFR qualifier Ivy Conrado! Photo of Ivy Conrado and KNFabs Gift of Fame “JLo” by Ken Amorosano. If you’re already having Wrangler National Finals Rodeo (WNFR) withdrawals, we’ve got the cure! 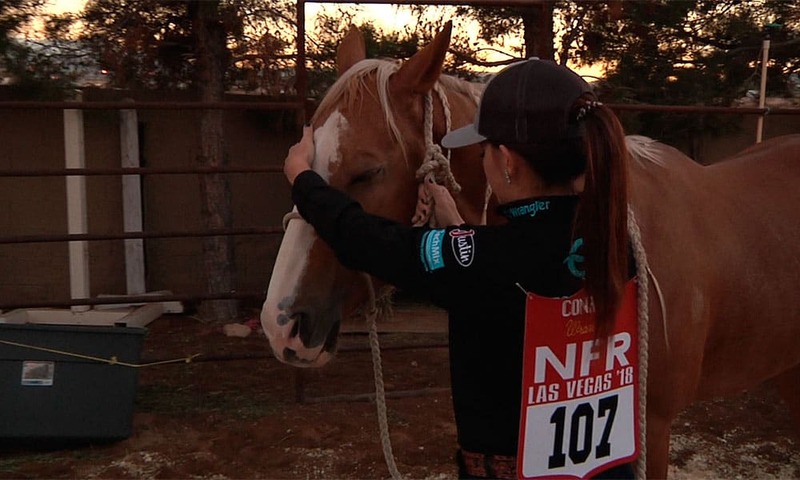 The COWGIRL team met up with Ivy Conrado, one of the fifteen barrel racing contestants who competed in the Thomas & Mack last year, in Las Vegas to film her behind the scenes before the first round of the WNFR. We also had the chance to interview Ivy about life on the rodeo road, her horse, and what it feels like to compete at the Super Bowl of rodeo. Watch COWGIRL‘s exclusive interview with Ivy below.